Top up an existing qualification to achieve a full honours degree in just one year. You’ll learn from our award-winning team in some of the UK’s best university facilities at Buxton’s Devonshire Dome. Keen to take the next step in your culinary career? We offer an exciting opportunity to ‘top up’ your existing qualification to a full honours degree in the space of just a year. Our hospitality, events and tourism courses have been ranked in the Top 10 in The Guardian University Guide 2019. The BA (Hons) Professional Culinary Arts (Top up) is ideal if you already have an appropriate foundation degree or HND with at least a merit grade profile. It leads to a highly regarded degree which will raise your professional status and give fresh momentum to your career plans. You will refine your skills in the magnificent grade II* listed Devonshire Dome at our Buxton campus. A prestige events venue, it includes seven high specification kitchens, a fine dining restaurant, a bistro and two licensed bars. This is an inspiring setting to bring a new dimension to your culinary art. The Dome Restaurant received the highest possible rating in the AA College Rosette scheme, with our students applauded for their enthusiasm. Our facilities are designed to meet the latest professional standards. We have, for instance, invested in a new induction powered training kitchen, reflecting the increased use of induction power over gas in the industry. We also have mobile equipment for off-site events and pop-up restaurants. You will be enthused and motivated by our thriving employer partnerships with organisations such as Michelin-starred restaurants and luxury hotels. One of the highlights of the year is our Industry Networking Day where you can make new connections which will serve you well in future. Real-world projects will broaden your expertise. Our students have worked with national hotel chains, international corporations and the local food producers, breweries and restaurants which lure countless visitors to the nearby Peak District National Park. You will also be able to participate in masterclasses delivered by visiting experts. You can showcase your culinary artistry in renowned competitions. Our students have shone in high-pressured challenges under the watchful eye of leading industry figures. They have reached the finals of the Toque d’Or three times and excelled in other events such as the Country Range Student Chef Challenge, Zest Quest Asia, Hotelympia and the Tabasco Student Street Food Brunch Challenge. Taking part in such competitions tests your front-of-house and back-of-house skills as well as your knowledge of food provenance, sustainability, costings and menu development – all of which are covered on your course. Our BA (Hons) Professional Culinary Arts (Top up) is accredited by the Institute of Hospitality, which lends credibility to your qualification and ensures your learning is up to date and relevant. You will have access to the Institute’s Educational Membership Scheme and can join local branch events. When you join us, you will also automatically become a member of hosco, with access to around 30,000 graduate roles, internships and work experience opportunities from over 1,500 employers. The best way to find out if studying at Buxton is right for you is to experience an Open Day. Get a feel for the campus, tour our first-class facilities and see where you could be living. The BA (Hons) Professional Culinary Arts (Top up) equips you with advanced technical knowledge as well as a deeper understanding of your market, food philosophy, and brand awareness. You will learn through practical demonstrations, lectures and tutorials, along with hands-on practical experience in our commercial facilities. Other work-related learning experiences on the course include guest lectures, conferences, industry days, fieldtrips, networking events, competitions, challenges and employer-led industry projects. You need to have an HND or Foundation degree in a relevant subject. When you apply, please send us a transcript of the modules you have already studied so that we can make sure that the HND or Foundation degree is compatible with the top-up programme. Full-time students applying to start in January should apply directly to the University. Students applying to start in January should apply directly to the University. As a BA (Hons) Professional Culinary Arts graduate, you will be equipped with all the real world experience that today’s employers expect. Leading names in the industry seek out our graduates because they are professional, talented and ‘work-ready’. Our graduates typically secure progressive careers in kitchen, restaurant and hotel management. They are now succeeding in senior roles everywhere from large international hotel chains to Michelin-starred properties, independent restaurants and conference venues. On completing this course, you could take up positions such as food and beverage supervisor, commis chef, commis pastry chef, chef de partie, graduate trainee restaurant manager, sales executive, licensed retail manager or contract catering manager – to name just a few. You can consider progressing to postgraduate studies in related subjects, including our own MSc International Hospitality Management which prepares you not only for senior management but also for roles in academia and research. We’re committed to improving your employability at every stage of your studies. Our teaching staff join forces with the Careers and Employment Service to deliver workshops on subjects such as networking, CV writing and effective use of social media. The support continues once you’ve graduated too: you are entitled to further help and guidance for up to three years after leaving the University. This includes signposting towards internships which you can undertake on completion of your degree and which often lead to job offers. 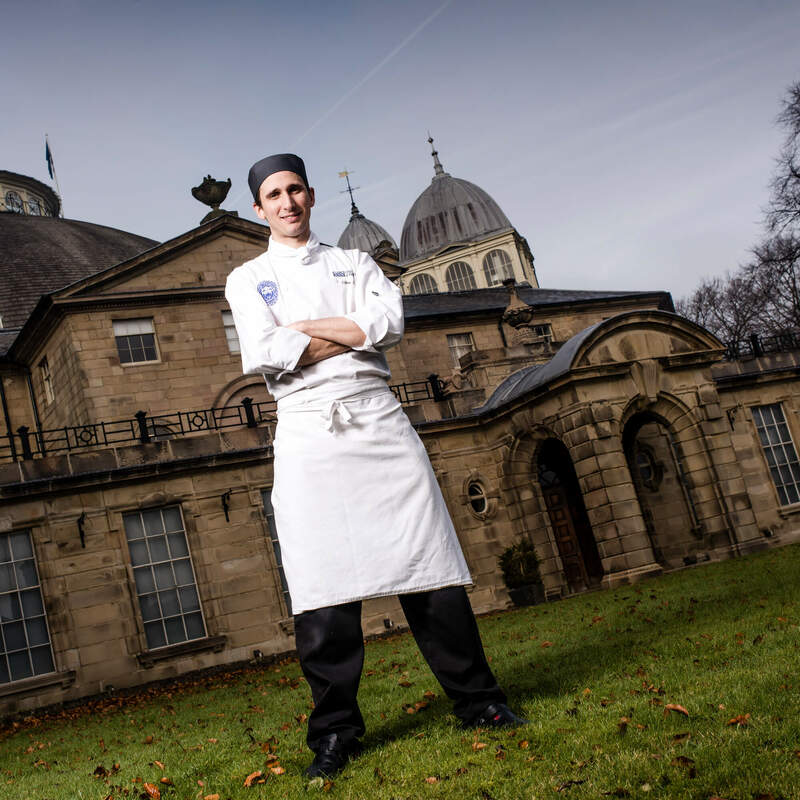 As Course Director for Culinary Arts and Food Development, Chris Jones manages the curriculum and student experience within the culinary discipline in the Centre for Contemporary Hospitality and Tourism, based at the University of Derby's Buxton Campus.